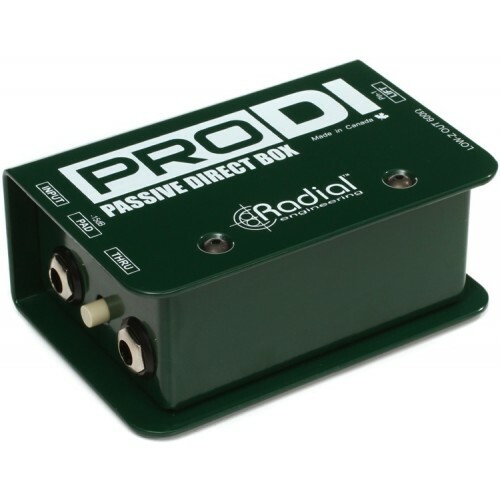 The Radial ProDI is a high-quality, passive mono direct box that's perfect for use with acoustic guitars, bass guitars, electric pianos, and synthesizers. The ProDI's custom transformer helps to deliver the highest performance possible, virtually eliminating issues with noise. And, as with all Radial DI boxes, the ProDI is incredibly reliable and easy to use — just plug in your mono instrument and instantly eliminate ground loops, while enjoying a rich, full sound.